It’s a not-so-sad goodbye to Winter this year, with a fresh and deliciously elegant new line of Sorbet fragrances hitting shelves this Summer. 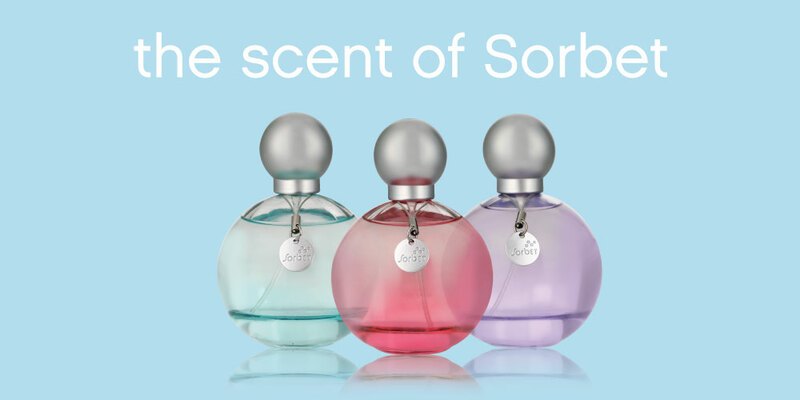 Building on its reputation as South Africa’s go-to salon for convenient, trendy grooming and rejuvenation, Sorbet’s new eau de parfum range adds floral and fruity options perfect for the summer months. Landing this November & with summer-ready nail treatments, waxes on the triple and Grandé facials all the craze, Sorbet’s three new superstar fragrances are set to steal the show at a time of year when change is most certainly in fashion. Available in Sorbet Fruity, Sorbet Floral and Sorbet Aqua the new range accentuates the fragrances and feelings synonymous with Summer for head-to-toe freshness. And with no other season bubbling with excitement quite like Spring, the company’s timing of the launch is perfect. As women all across South Africa consider a fragrance make-over this Summer, the new Scent of Sorbet fragrance may very well turn out to be the season’s must-have. Colourfully packaged, vibrant and exciting Sorbet Fruity, Floral and Aqua are everything Winter is not, which should come as good news for budding goddesses everywhere. Available at all Sorbet Salons, Sorbet Drybars and Clicks stores nationwide from 1 November 2018.